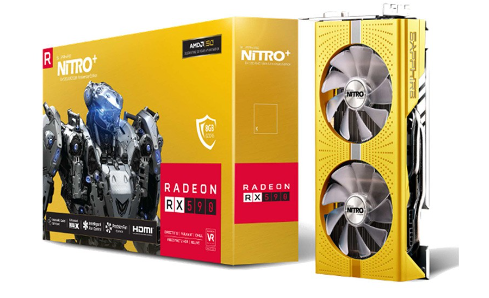 AMD will soon be celebrating its 50th anniversary in business, and it seems Sapphire Technology wants to highlight the achievement by releasing a gold-colored Nitro+ Radeon RX 590 desktop graphics card. The special edition card has a boost clock rate of 1560 MHz and is fitted with 8 GB GDDR5 memory (2100 MHz clock that utilizes a 256-bit interface). 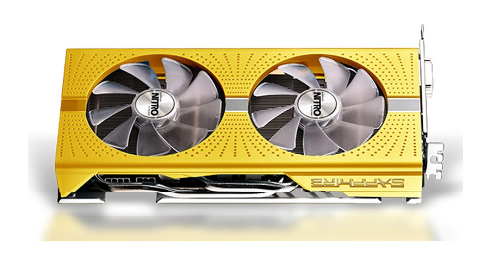 Sapphire already has some limited edition and special edition graphics cards in its portfolio and now it seems another rarity will be joining the ranks. A Portuguese retailer called PCDIGA has revealed a listing for a gold-colored Sapphire Nitro+ Radeon RX 590 8 GB AMD 50th Anniversary Edition graphics card. The rather appealing-looking product is priced at €299.90 (~US$339). The color choice is appropriate, as gold is traditionally linked with 50th wedding anniversaries. 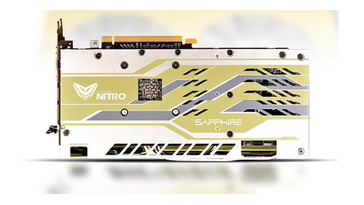 Apart from the nifty color scheme, the card seems to offer all the specifications you would expect from a Sapphire Nitro+ model based on the AMD Radeon RX 590. The 12nm GPU boasts 2,304 stream processors, and the dual-fan card utilizes Nitro Boost and Nitro Cooling technologies. Both the shroud and the backplate have been decorated to celebrate AMD’s upcoming 50th anniversary (the company was founded on May 1, 1969). The special edition Sapphire Nitro+ Radeon RX 590 desktop graphics card is listed for pre-order; it’s not yet known if Sapphire will be bringing the golden card to other markets - it's possible the retailer has leaked the item in advance by accident.